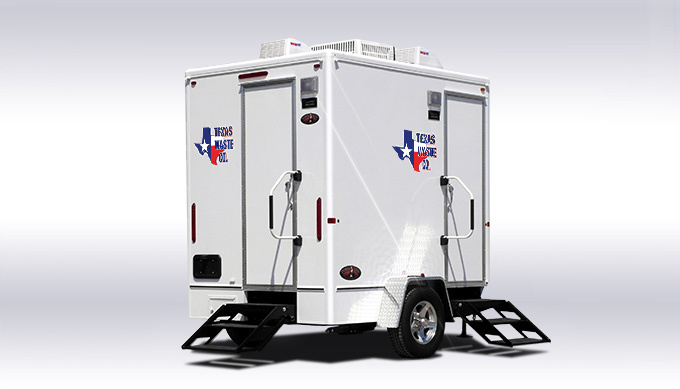 Texas Waste Co. has a variety of luxurious and durable 2-stall restroom trailers to suit any event or job site in the Houston area. 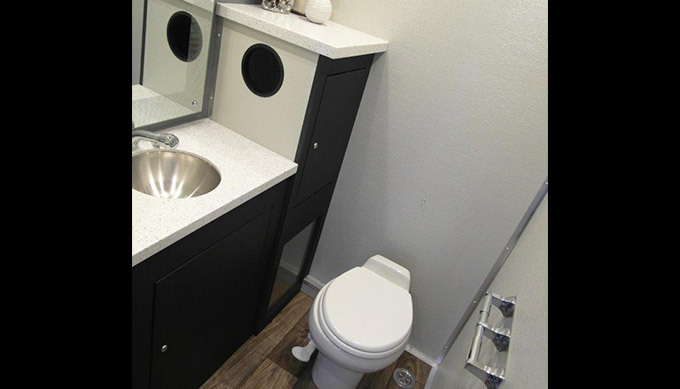 Our cottage series restroom trailers feature interiors with vibrant colored walls, crown molding, wood grain floors, and distinctive wainscoting. 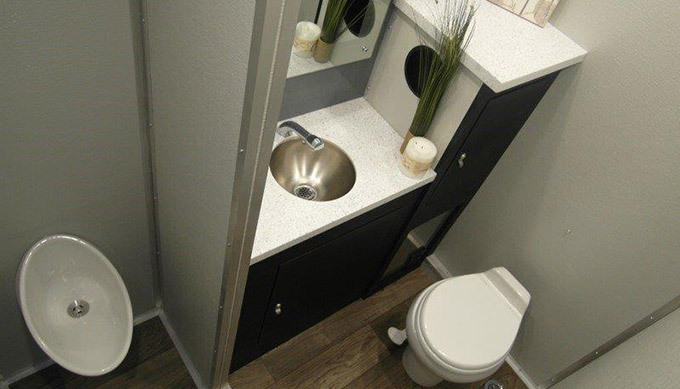 The trailer interiors also have linen textured solid wall covering, stainless sinks, and solid surface sink tops. 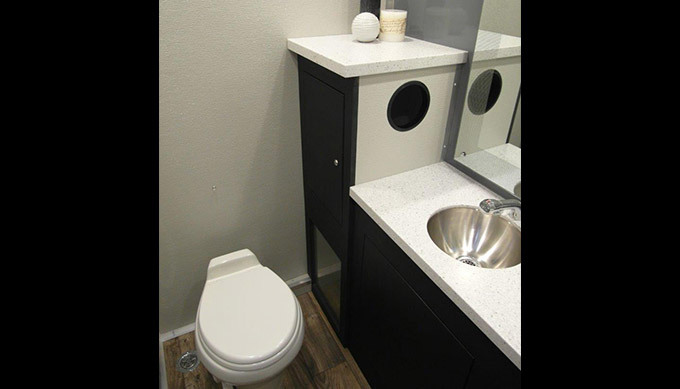 We also have an “urban cowboy” series that is equally as nice but distinctly different. 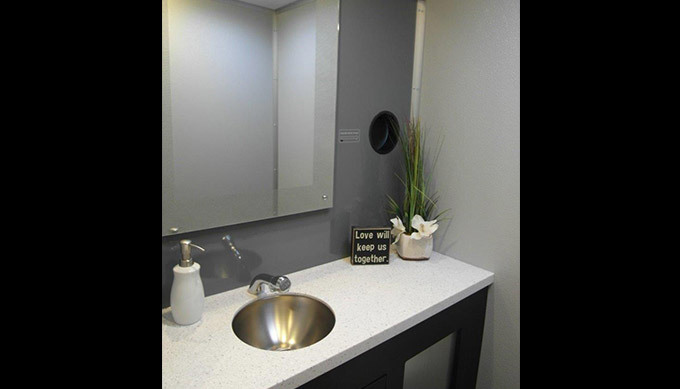 Our urban cowboy series feature color schemes of grey and black, stainless accents, and chic floating cabinets with solid color counter tops. 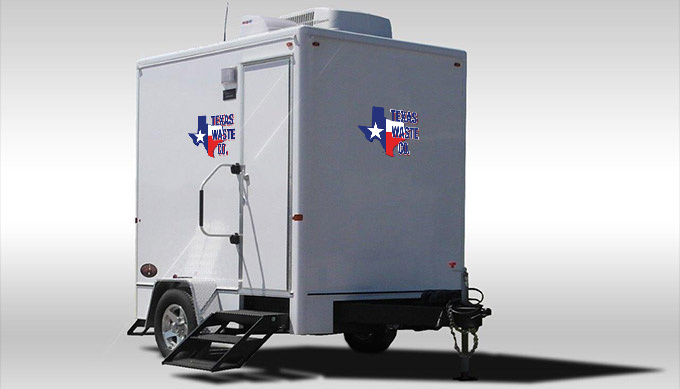 Two door/stall restroom trailers are perfect for Houston area weddings (outdoor venues), tailgate parties, and up-scale parties with a reasonable number of guests that prefer a more upscale restroom experience. 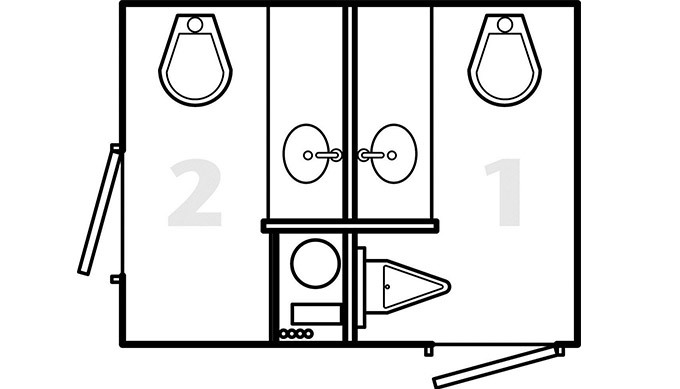 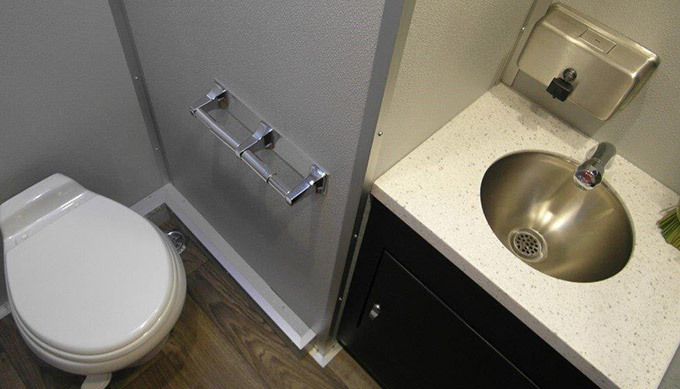 We rent our 2 stall restroom trailers by the day, weekend, week, month and year and provide markdowns accordingly. 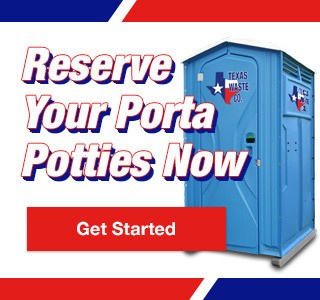 We encourage all customers to reserve their luxury or job site restroom trailer as far in advance as possible due to the short supply of restroom trailers in the greater Houston area during peak event and industrial seasons.